Sabrena has a passion for all things Hair!! To advance herself in her field she has trained with REDKEN, Summit Salon Business, Crystal Focus, Paul Mitchell, Keratin Complex, CHI, and many more. Sabrena is certified as a REDKEN MASTER SPECIALIST, REDKEN SPECIALIST, Graduate of REDKEN ACADEMY, The Redken Exchange, CLASS of 2015 REDKEN ARTIST and 2017 TEARSHEET ARTIST GRADUATE, NYCMFW 2017. With over 28 years’ experience in the cosmetology industry, Sabrena pushes the boundaries of creativity beyond your expectations from salon artist to educator to business owner, and much more. Sabrena has a desire for continued education and learning from the best. Sabrena has worked back stage at several State Pageants, including the MISS AMERICA Pageant. Sabrena is a Breast Cancer Survivor with new found respect for life. 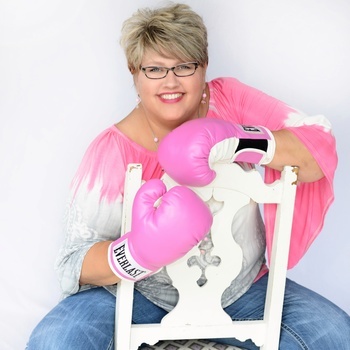 Sabrena was just recently name an American Cancer Society 2017 Hero of Hope for the State of Alabama. You too can experience her unique technique, her commitment, and dedication to each client and her community. At the end of the day, you can find Sabrena spending time with her family and enjoying life to the absolute fullest.